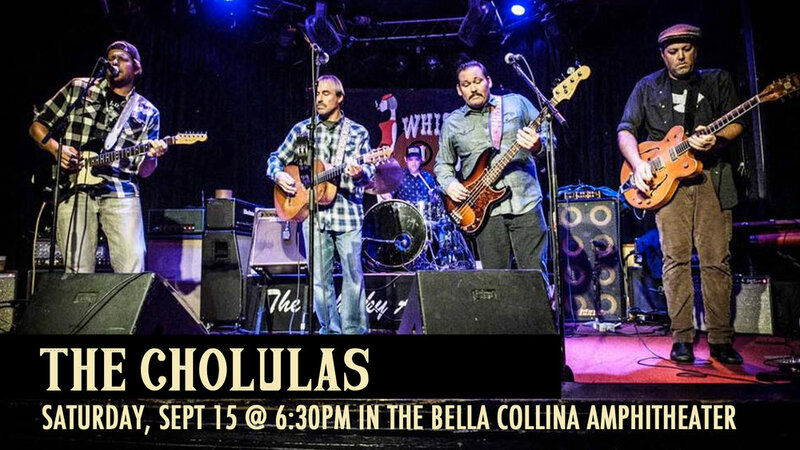 The Cholula's Live in the Amphitheater! 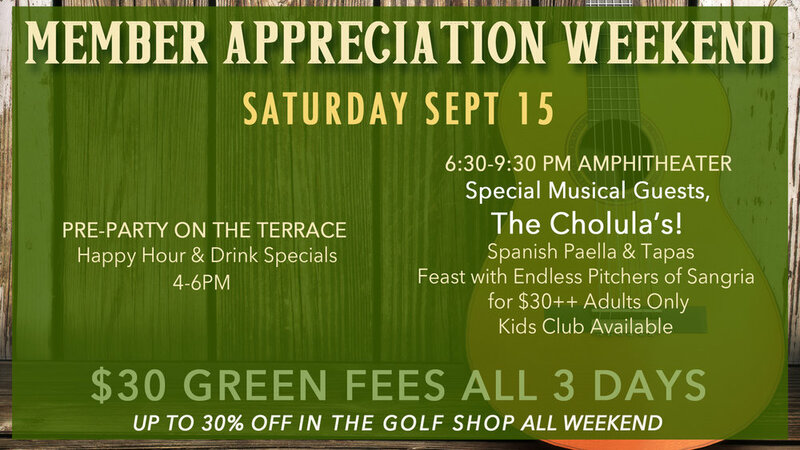 Join us on Membership Appreciation Weekend, Saturday September 15th for special musical guests The Cholula’s performing 6:30-9:30pm in the Amphitheater. Spanish Paella & Tapas Feast with endless pitchers of Sangria for $30++ (adults only). Kids Club available. For reservations, call 949-498-6604. Sunday Funday on The Terrace!